The U.S. Department of the Interior is inching closer to allowing oil and gas drilling in Alaska’s Arctic National Wildlife Refuge. The Bureau of Land Management issued a draft environmental impact statement for a proposed leasing program for the coastal plain. The BLM released the draft because a 2019 oil and gas lease sale on the coastal plain is planned. During the summer, a public scoping period began during which Americans submitted almost 700,000 comments in favor of protecting the area. People made it clear in public hearings in Alaska and Washington, D.C. that they favor protecting the Arctic Refuge and its coastal plain. Surveys also reveal that the American people oppose developing the Arctic Refuge. The American people have one more chance to make their voice heard about drilling in the Arctic Refuge. Comments on the Draft EIS will be accepted through February 11. The Arctic Refuge is 19.6 million acres and about eight million of the acres have been designated by Congress as wilderness. The highest level of land protection is a wilderness designation under the Wilderness act of 1964 and is reserved for pristine areas. 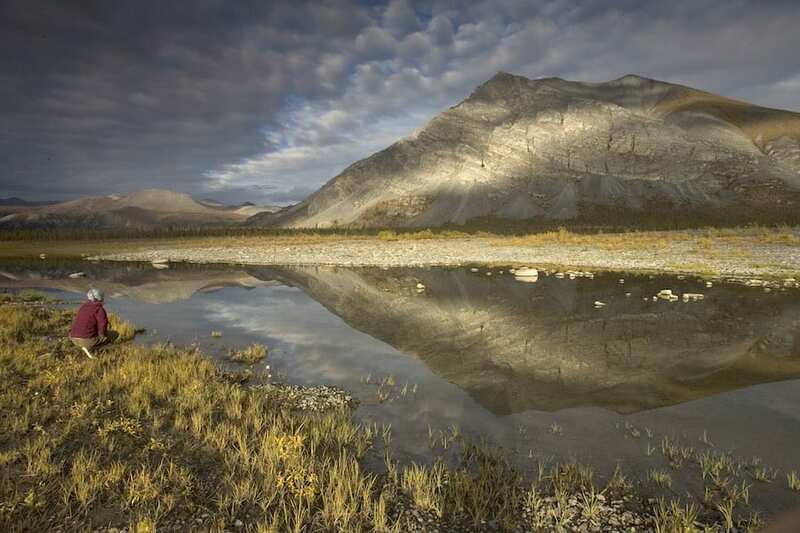 President Obama issued a formal recommendation to Congress that the entire Arctic Refuge be protected as wilderness. “The Arctic Refuge is home to some of the most diverse and spectacular wildlife in the arctic,” according to the U.S. Fish and Wildlife Service. The area’s wildlife includes 42 fish species, 37 land mammals, eight marine mammals, and more than 200 migratory and resident bird species. “The Arctic Refuge is an ecosystem that is becoming more – not less – vital for birds and wildlife as development and a changing climate chip away at their habitat,” said Sarah Greenberger, senior vice president of conservation policy for the National Audubon Society. The Arctic Refuge is home to bears and is one of the few places where brown and black bears co-exist. Only about 30,000 polar bears now exist in the world. Every year in September about 50 bears come into the Arctic Refuge, which is the only national conservation area where polar bears den regularly and the most consistently used area for denning by polar bears in Alaska. There are over 200 species of birds in the Arctic Refuge. Birds migrate from there to every state and territory in the U.S. and some even roam to other continents. There are also hundreds of thousands of caribou in the Arctic Refuge. The largest herd within the Arctic Refuge is the Porcupine Caribou Herd, which returns every spring to calve and raise their young. It is the area where they return that would become the site of gas and oil drilling.